In Germany, between 1919 and 1933, there was an art school called BAUHAUS. It had a very different approach to art and design, whereby all of the various forms of art: painting and visual arts, design and eventually architecture would all be taught together. It was a very influential school, marking Modernism, and breaking away from what had been in the past. Walter Gropius, an architect, was the founder, then it was lead by Hannes Meyer and finally by Ludwig Mies van der Rohe, when it finally was closed in 1933 by the Nazis. 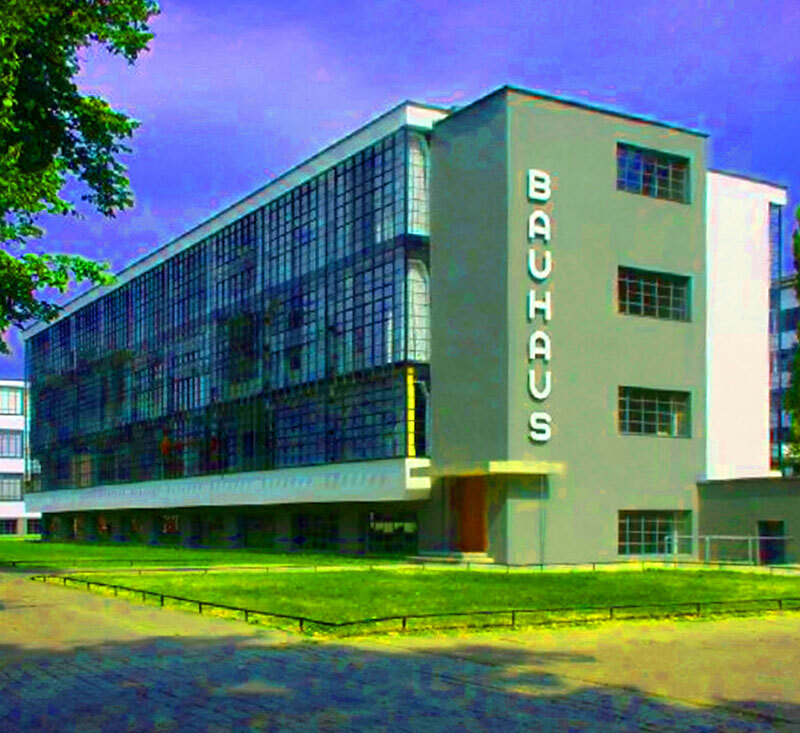 The Bauhaus came about after World War I, after the fall of the German monarchy, which relaxed many rules about artistic expression allowing new ideas to bubble up and a lot of experimentation in the arts. When we look at the buildings and design of that era now, it does not seem very revolutionary or different, but it showed a very different kind of thinking and solution to design problems back in 1919. In fact, to this day, the design ideas of the Bauhaus are still influencing us. We found this great film which takes you on a tour of the first Bauhaus home built in Germany, designed by Georg Muche. Take a look and a virtual walk through it.